My family is obsessed with waffle iron potatoes. 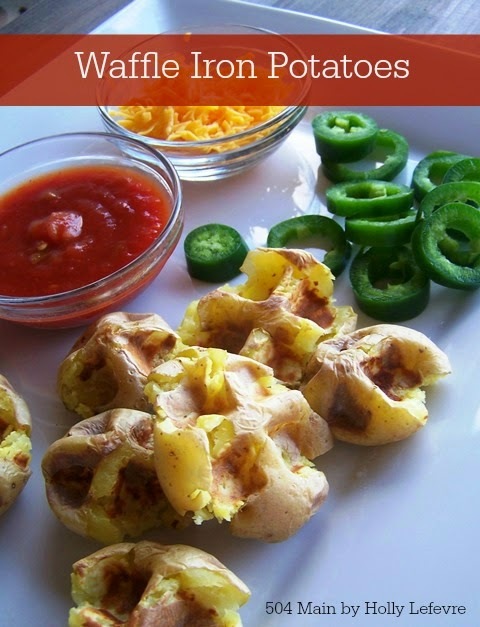 Yep, to heard me right...waffle iron potatoes! and we have been making them ever since! Here is the simple method to making them and some hints and tips! Don't these little guys look delicious?! Learn how to make them...you will love them! 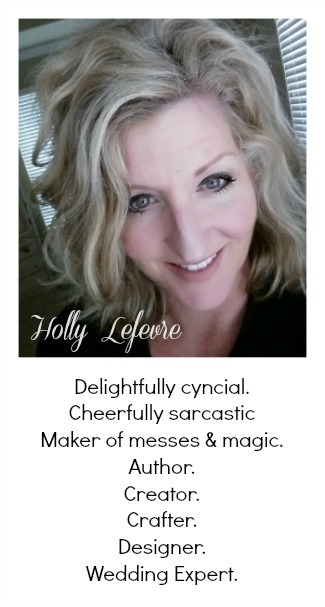 *I have a waffle iron that flips, last time I made the potatoes I think I tweaked the waffle iron when I tried to flip it. In the past I just closed it and left it alone. 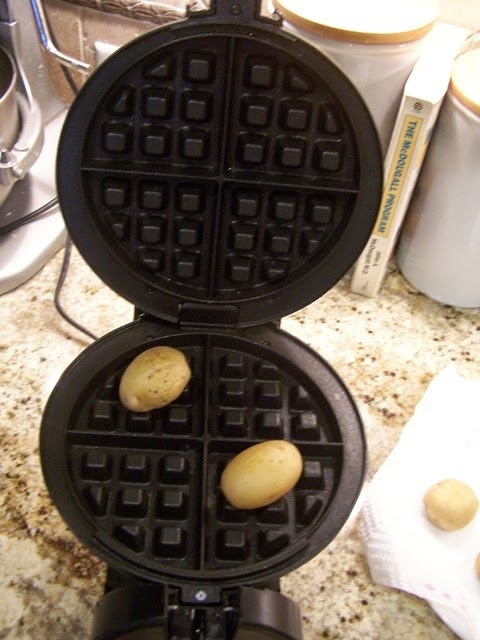 I am considering getting a waffle iron just for potatoes! Do NOT make these on some super expensive waffle iron, just in case your gets tweaked. FYI, Mine still works for potatoes and waffles. 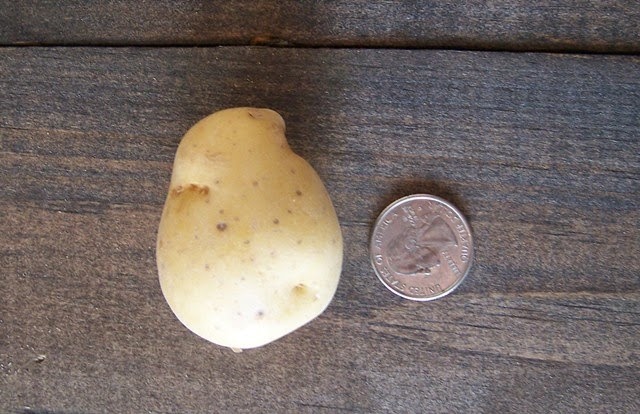 Small potatoes. 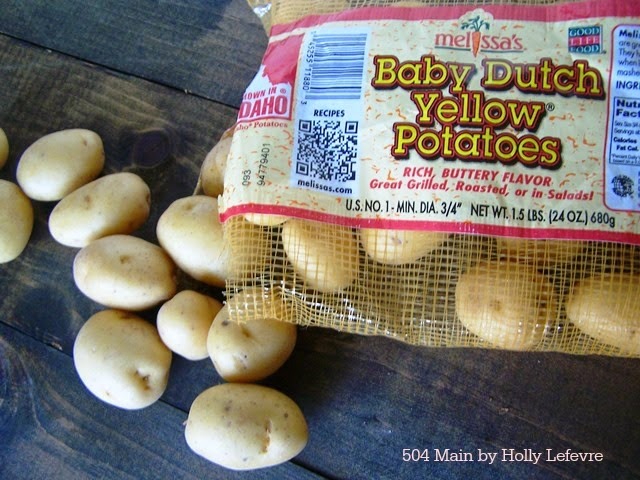 I used Baby Dutch Yellow Potatoes and I have used baby red potatoes. See the size compared to a quarter. I microwave the potatoes for 3 minutes. If you do not have a microwave, bake them in an oven until tender. Do NOT peel them. If you leave the peel on they do NOT stick to the waffle iron and you do not need to use oil, etc. 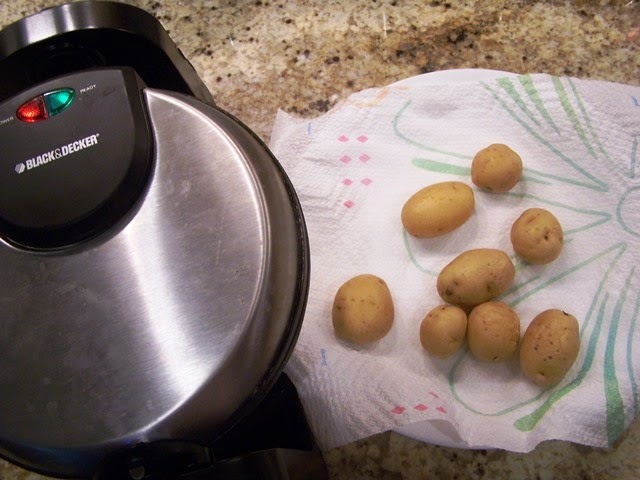 Microwave the potatoes (I put 10 in at once) for 3 minutes. You should be able to easily stick a fork through them...or I like to pinch them to feel for their softness. 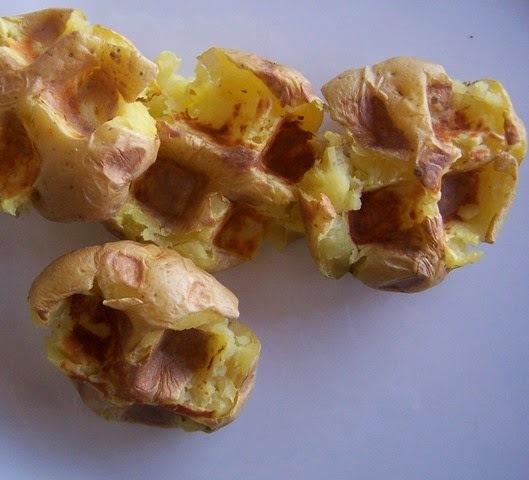 Place 2 potatoes in the waffle iron, diagonally from one another. Close waffle iron and let the potato cook for about 5 minutes. 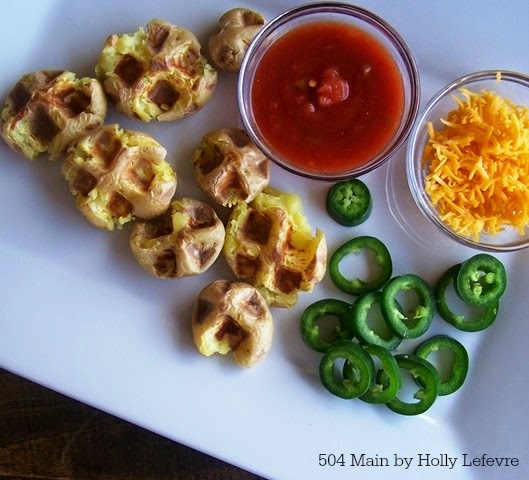 While you cook them in the microwave, the extra time cooking them in the waffle iron makes them taste amazing and different (and don't tell the kids...they are healthy!). Now, let's see....I am not really sure how to explain these potatoes. Let's go for a crispy baked potato. And plain old DELICIOUS! We like them with Ketchup, salsa, sour cream and cheese...the sky is the limit when it comes to toppings! How will you top your potato? Thanks for the 'recipe' Holly, these look amazing! 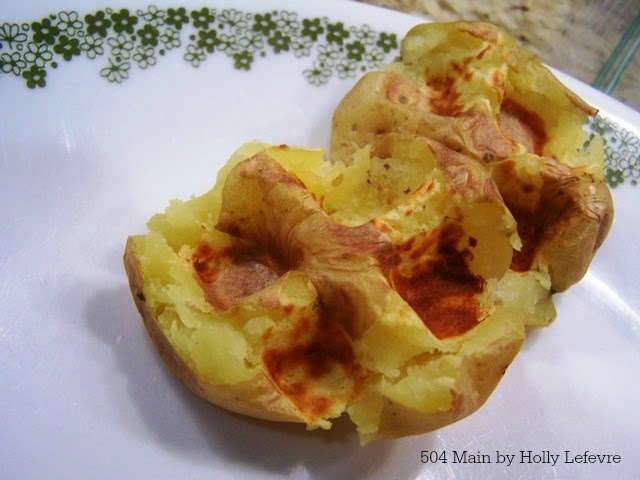 We are big potato fans at our house and I know our family will love these!! Pinned. Yum! 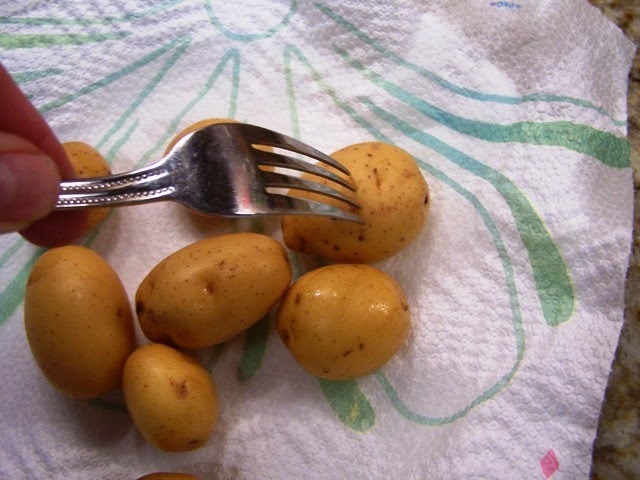 I love potatoes and this is a great idea!! This sounds interesting! Will have to check out more of these waffle ideas! So they are just like smashed potatoes. You just use a waffle iron. My kids LOVE smashed potatoes.